Wembley is indecisive, and plays drums. 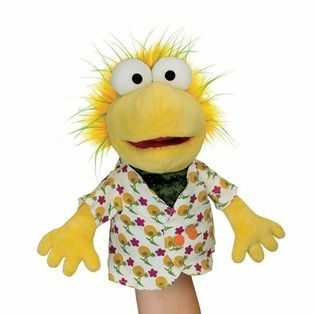 This soft Fraggle Rock hand puppet has a green and yellow body, wears a Hawaiian shirt, and has a moveable mouth. Ages 3+.